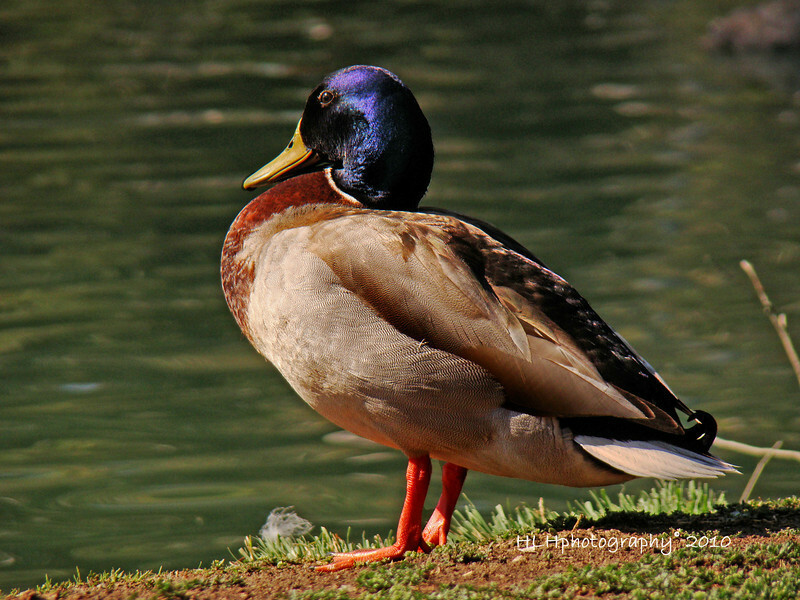 Mallard Duck. Took this at Tri-City Park in Placentia, CA. It's a neat, small park right in the middle of suburbia. It's a great place to go and relax, stroll, jog or in my case, take a few pics! This is a stunningly coloured duck, just amazing ! Another beautiful capture...did you ever find out what kind the other one was?? Love the color and detail in this! Excellent capture! Really nice capture...I like the way he has his eye on you.